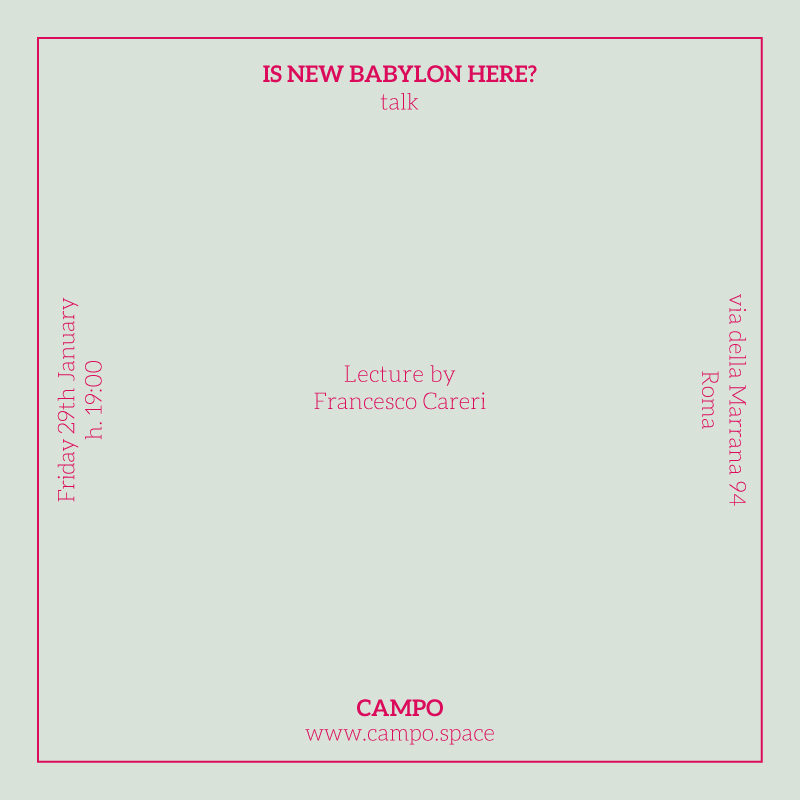 Friday 29th January 2016 – 7:00 p.m.
Francesco Careri’s journey has begun with the the book “Constant. New Babylon, una città nomade”, published in 2001 by Testo&Immagine, a research that brought him to investigate the roots of Unitarian Urbanism and in particular that “city for homo ludens” imagined by the visionary Dutch architect and inspired by the famous text of the philosopher Johan Huizinga. 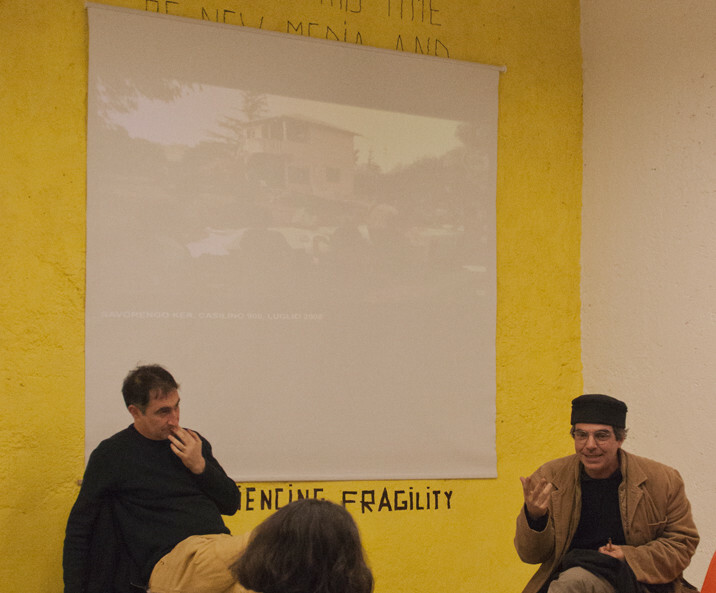 After Constant’s death in 2005, he decided to make a pilgrimage to Alba with the photographer Armin Linke and the artist Luca Vitone in search of the camp where Constant had met and designed a camp for the Sinti, a nomad population that was living on the land of the famous artist and patron Pinot Gallizio. 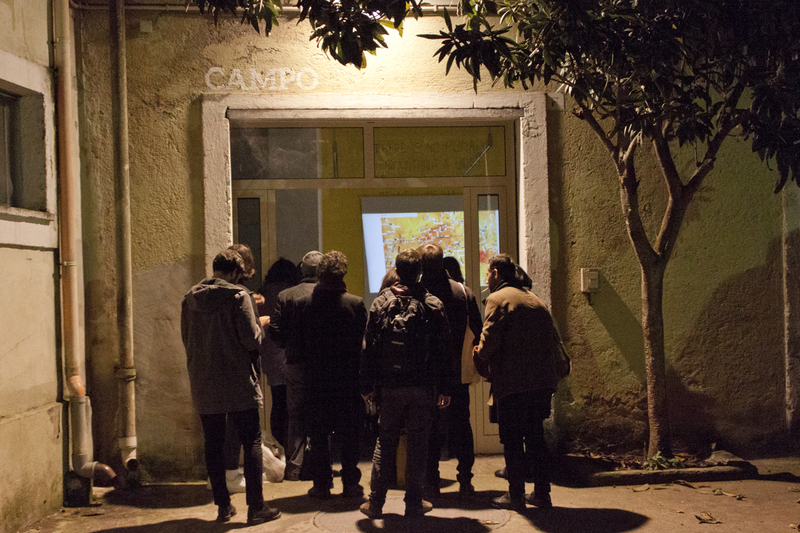 In the same years in Rome, Careri was working with the artists collective Stalker and ON/Osservatorio Nomade in the Campo Boario, together with many communities of migrants, among which the Kalderasha nomads. After visiting Alba he realised how idealising nomadism just increases our distance and ignorance of the Roma world and that it was necessary to go where Constant, Guy Debord, Asger Jorn and the Situationists had stopped; into the merciless materiality of the nomad camps. “Perhaps it is necessary to understand which element of New Babylon can be used in order to look for an alternative and concrete option to nomad camps. Maybe we must find together with them a common ground on which to experiment Unitary Urbanism in our historical conditions, without the abolition of work and without the realisation of the Situationist Revolution”. Since 2006 with Stalker, he had plunged body and soul into the many forms of forced dwellings of the nomad universe, visiting self built settlements, houses made of scrap metal, cardboard and bricks, tents, occupied rural houses, villages in abandoned factories, transit areas, fields authorised to become shantytowns without any water, electricity or sewers, overcrowded container camps where entire generations are still growing up today without documents or identity. 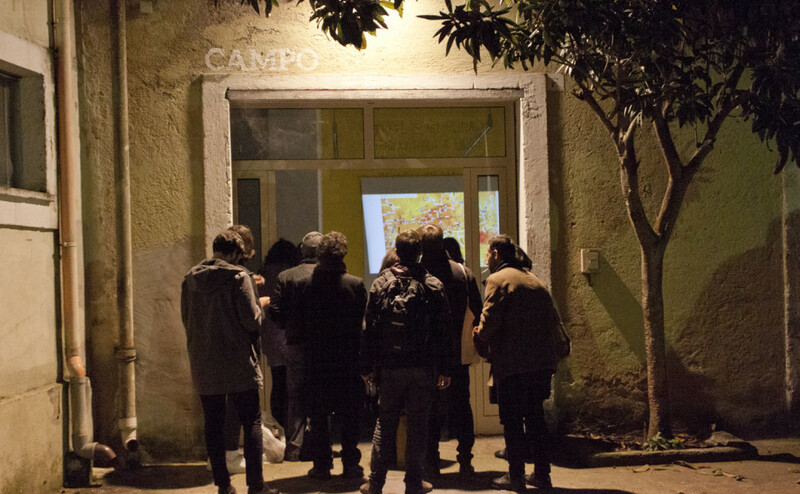 In the Civic Art course at the University Roma Tre, Careri still investigates whether it makes sense to design a gypsy camp, something unstable, something transitory, something uncertain. Francesco Careri is architect and Associate Professor at the Dipartimento di Architettura of the University of Roma Tre. Since 1995 he is a founding member of the Stalker/Osservatorio Nomade urban art workshop. 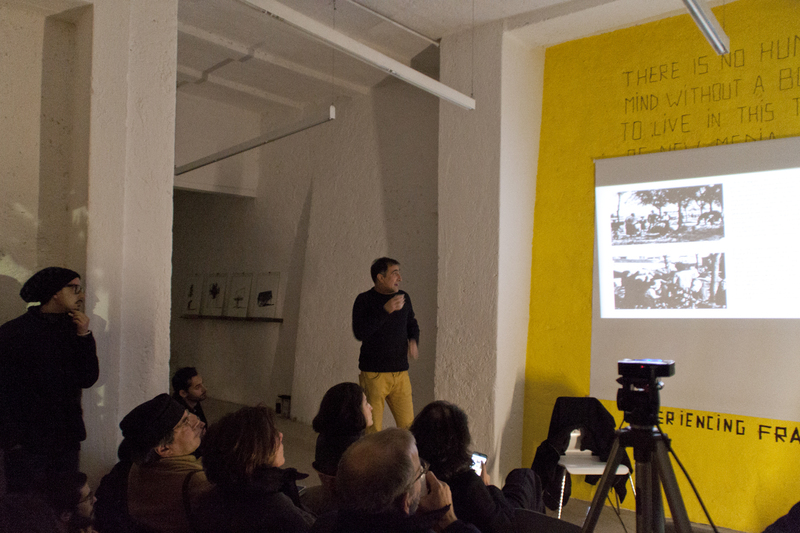 He invented the cours of “civic art” a peripatetic laboratory founded in the walking exploration of the neglected zones of the city and actually he is the Director of the Master “Arti Architettura Città”. He is working actually with the LAC Laboratory of Civic Art explorig the multicultural possibilities of Roma inclusion in the housing rights movement. He’s main publications are the books “Constant. New Babylon, una città nomade”, Testo & Immagine, Torino 2001; and “Walkscapes. Walking as an aesthetic practice”, Editorial Gustavo Gili, Barcellona 2002, Einaudi Torino, 2006.